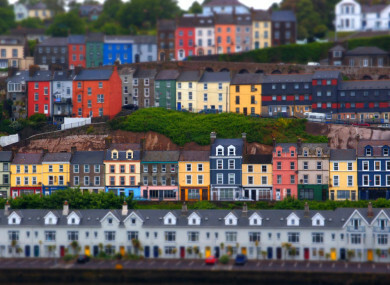 IRISH HOUSEHOLDS ARE in a better position than they were to withstand an increase to mortgage interest rates, which will inevitably rise, according to new research. Increased rates would lead to payments rising faster than long-term income growth which would likely cause repayment difficulties for some households. A study by the ESRI and Department of Finance examined effect increased European Central Bank rates would have on those in mortgage arrears in Ireland. Because global interest rates are low by both by international and historical standards, they will inevitably rise in the coming years. The research tests how increased rates would affect households in terms of their ability to continue to pay their mortgages. It found that a 25-basis-point increase in the ECB policy rate in any one year would lead to a 0.1 percentage point increase in new missed mortgage payments. The research notes that households are in a better position to withstand interest rate increases given the stronger economic circumstances in Ireland since 2014. The improved labour market, through lower unemployment and rising incomes, is particularly important. However, rates rises would lead to payments rising faster than long-term income growth which would likely cause repayment difficulties for some households. The research also looked at the groups which are most at risk, and found that younger (18-35 years), lower income households who are at an earlier stage in their mortgage contract are more likely to be affected, as are households on tracker interest rates who have a contractual pass-through from the policy rate to the lending rate. Conor O’Toole, ESRI research and author of the report, said that the Irish mortgage market “has recovered considerably from the crisis and households are better placed to deal with adverse shocks”. However, our research points to vulnerabilities for particular groups of households if interest rates were to rise and inevitably new arrears cases would materialise. Email “Mortgage interest rates will rise, says research, 'making repayment difficult' for some Irish households”. Feedback on “Mortgage interest rates will rise, says research, 'making repayment difficult' for some Irish households”.